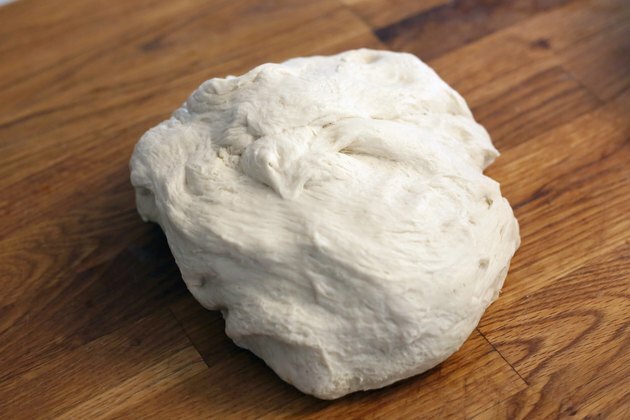 Pizza dough keeps very well in the freezer and should be used within one to two months of storage. Utilizing a cold defrosting method, versus placing it in the microwave or allowing it to defrost on the counter at room temperature, ensures you won't overheat the dough before it's placed in the oven. Once defrosted, aim to use your pizza dough within one to three days. Otherwise, the dough may sour as the yeast has broken down the glutens, making it more difficult to shape. 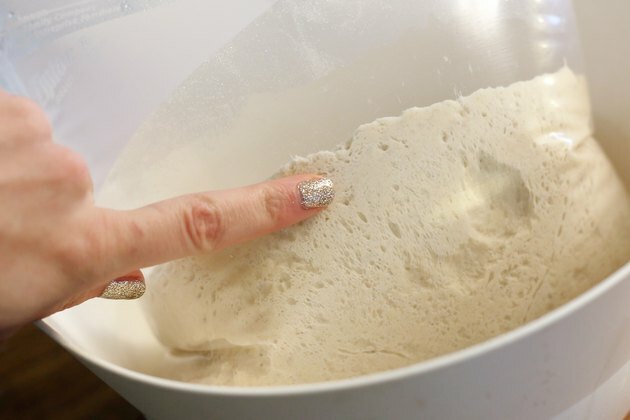 Remove the pizza dough from your freezer, keeping it in its storage bag, and place it in a bowl with enough room for expansion. 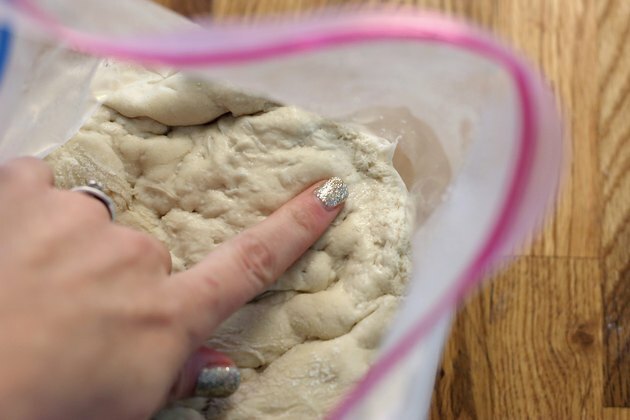 Allow the pizza dough to thaw overnight until the dough begins to soften and rise within the bag. You'll notice tiny bubbles on the dough. Remove the dough from he plastic wrap, and allow it to rest on the counter for about 1 hour before you begin making the pizza. 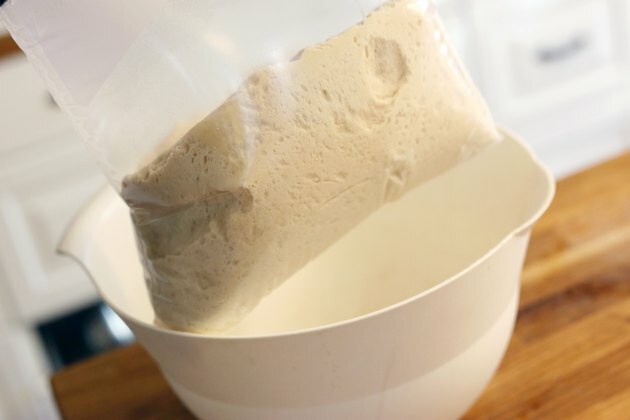 Remove the pizza dough from your freezer and place it in a medium-sized bowl while still in its plastic storage bag. Fill the bowl with cold water, and submerge the pizza dough inside the bowl. Allow the pizza dough to defrost for 1 to 2 hours until it is malleable and has risen slightly in the bag. Tiny bubbles will be present on the surface of the dough. 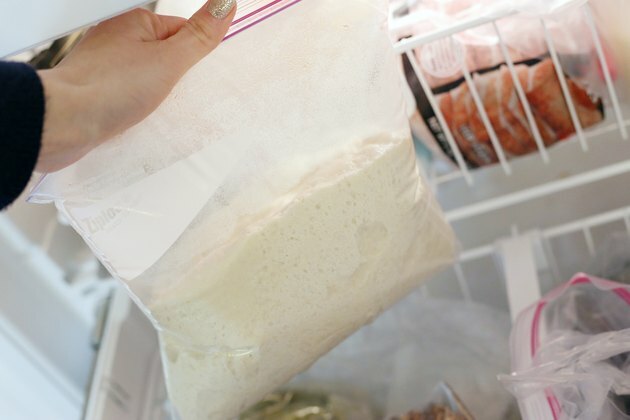 Pull the thawed pizza dough from the plastic bag and discard. 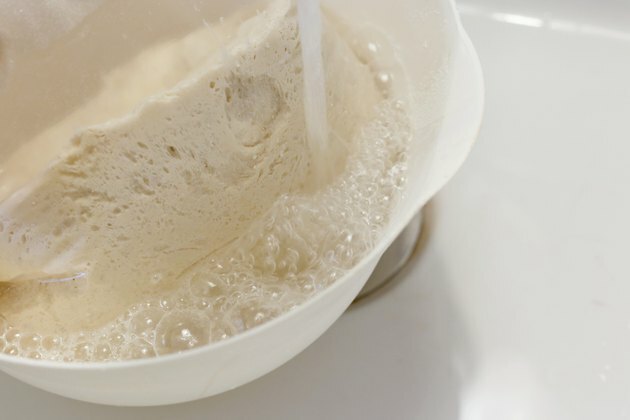 Let the pizza dough rest in a dry bowl for about 1 hour before you begin start making your pie. 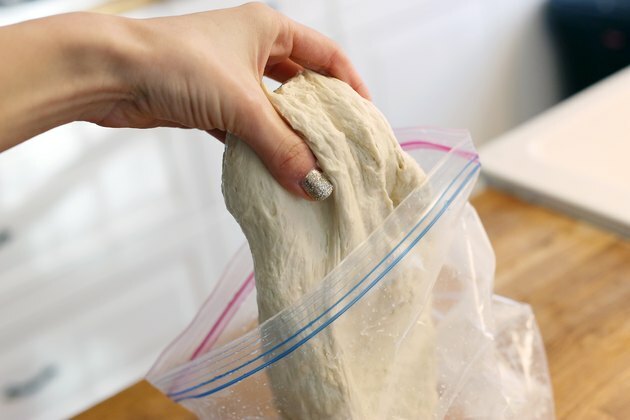 If you're having trouble working with and stretching your dough, cover it with plastic and set it aside for about 15 minutes on the counter. This allows the dough to proof a little longer and will make it easier to work with. 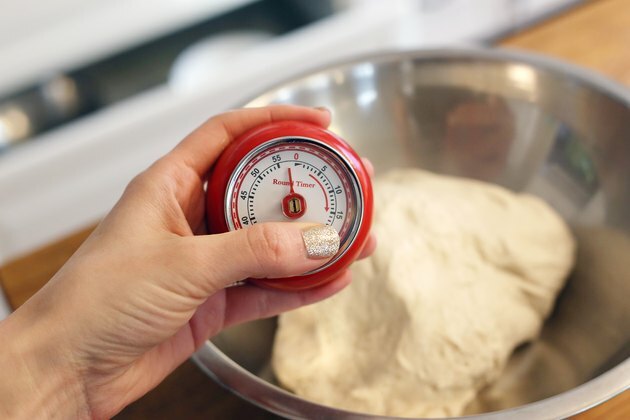 Never allow your pizza dough to sit out for longer than 2 hours at room temperature, or more than one hour at a temperature of 90 degrees Fahrenheit or higher. At those temperatures, harmful bacteria may start to grow. 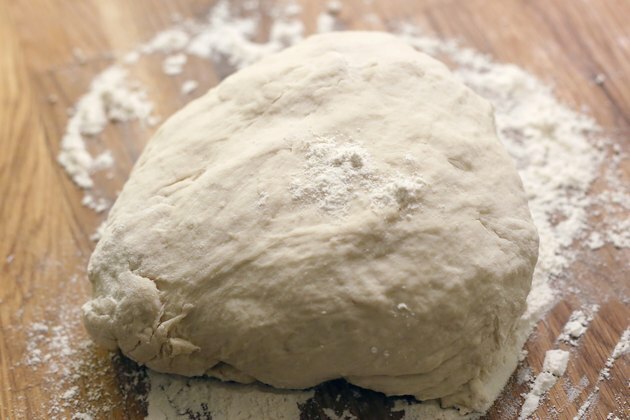 If working with a large ball of dough that's taking longer than 2 hours to defrost using the cold water method, change the water to ensure that it remains cold.